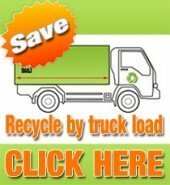 SBC Mattress Disposal, a member of the SBC LLC family of companies, opened for business in January 2004 to meet the growing demand for recycling in Portland Oregon and the surrounding metropolitan area. SBC Mattress Disposal is a family owned business. We as a family care deeply about people and the environment, so excellent customer service is our highest priority. We have been offering our service to the Portland Metropolitan and Vancouver area for many years now, and we have been partnering with other “recycling giants” who have been in this field for many years, to make sure that we offer our clients the best service possible. We make use of the latest technology by offering fast computerized price checks and online scheduling. We also accept online payments and keep communication going between us and our clients by checking our email at home and on the road. Our company is proud to offer a viable solution for the ever increasing demand for mattresses recycling. We currently serves clients from various commercial sectors such as retail chains, hotels, hostels, and various smaller local businesses and non profit origination’s. SBC LLC has become the choice of many businesses wishing to dispose of their difficult waste streams such as mattresses, as they prefer to use one reliable recycler for all their recycling needs. We have a 100% landfill avoidance policy on all mattresses. Our guarantee to the community and you is that we will act in the most environmentally responsible manner and with the highest level of sensitivity to our client’s security and privacy needs at all times. All mattresses are dissembled and recycled. Most other items that are brought to us will be refurbished or recycled and either reused or donated to a charity if possible. If products are too old or defective, we will have the product disassembled and precious metals, plastics, and glass content will be reclaimed. We will only work with partners that share our commitment to responsible stewardship of the environment. We’re working hard to keep our environment clean and green. Our mission is to make it as easy, cheap, and convenient as possible for you to recycle your old mattress in the Portland Metropolitan and Vancouver area by offering competitive prices and excellent service.